Taking time to move your body during the day helps to keep you focused and fresh. These simple exercises can be done at your desk throughout the day. The key is to perform these movements mindfully and frequently. 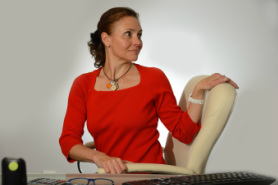 Opposites heal, so take time to counter being sedentary sitting. Hold each position for 2-3 breaths. Download hand-out for easy reference. Visit our partner site for 5 videos of movement at your desk. CIRCLES: Slowly circle your wrists and ankles, alternating with rotation and slight flexion. Light shaking of your hands/arms. For your neck, move cautiously from right to left and forward and back. 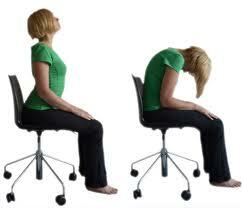 MASSAGE: Apply your choice of pressure to your neck, shoulders, ears, temples, feet, forearms,hands, whatever feels good. 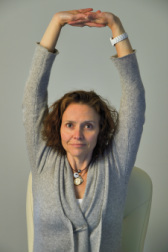 STRETCHING: Clasp your hands together and raise them above your head, reaching tall. Then repeat process from side to side and with your arms in front of you. CHILD'S POSE: Fold your head, relaxing the back of your neck over your knees with your hands clasped behind your legs or lightly dangling by your sides. CAT/COW: With feet on the floor and sitting with your hands on your knees, on the inhale, arch the back and look upwards. On the exhale, round the spine and let your head drop forward. SEATED SPINAL TWIST: Using your chair, sit up tall, put your hands on either the back of your chair or the arm rest and twist to each side. HIP STRETCH. Place your right foot on the floor directly under your right knee. Place your left ankle over your right knee and flex your foot. Inhale and sit up tall to lengthen your lower back and, on the exhale, slightly lean forward feeling a stretch in your left hip. Repeat on the other side. WRIST STRETCH. 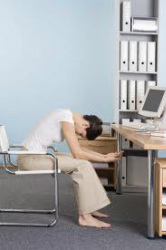 Stand up and place your hands on your desk with your wrists facing the computer. 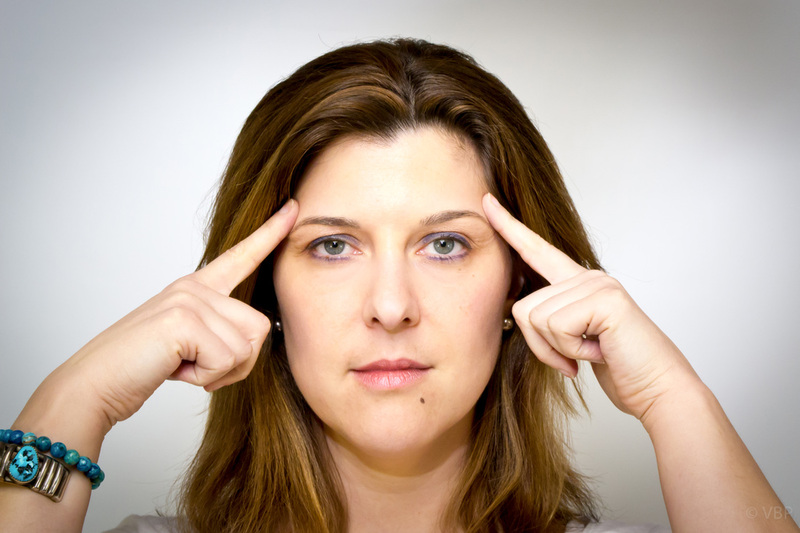 Gently lean into your wrists with your palms as flat as possible.